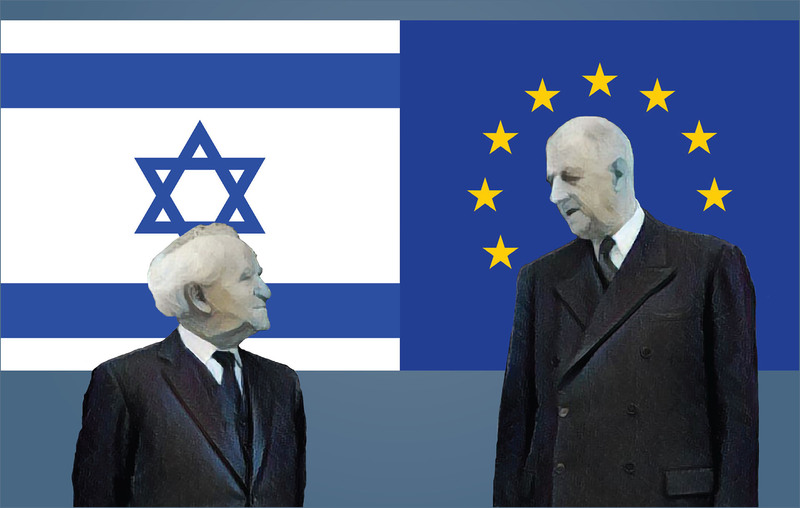 The European community upgraded itself and became the European Union in 1992–1993, roughly at the same time the Oslo accords were launched. There is a correlation between the two projects. Prior to this development, which came about on the heels of the collapse of the Soviet Union, the fiber of Israel-Europe relations was based on the fraternity of the Socialist and Social-Democratic parties, mainly in the framework of the Socialist International. The Israeli Labor party was on excellent terms with its Socialist sisters in Sweden, Norway, France, West Germany, and Spain. However, since the late 1960s and the beginning of the 1970s, the Socialist parties in Western Europe went through a significant transformation. As a result of Socialist failures, and the Vietnam War, the new generation had become radicals. The great expert on political warfare Stefan Possony writes that in the early 1970s these Socialist radicals entrenched themselves in Brussels – the European Community of that period. Led by Olaf Palme, Willy Brandt, Bruno Kreisky, and the like, the Social Democrats became avid supporters of the PLO, while taking a soft anti-Israel stance. This was a complete turnaround from their Zionist position of the 1920s on. In the 1970s, ideology mixed well with oil interests (the oil embargo post-Yom Kippur War), Soviet pressure, and the great blackmail of international terrorism led by Palestinian organizations. Great efforts were vested in getting Israel into an arrangement with the PLO through the Labor Party and the Israeli Left. Israel and Europe became more and more estranged after the electoral change of government in 1977 and the rise of the Likud led by Prime Minister Menachem Begin. Despite the peace agreement between Israel and Egypt, the Palestinians led by the PLO had become the epicenter of Israeli-European relations. Still, the European Union and its largest governments were shy to go out in the open with the PLO, although recognizing it as a national liberation movement had become a cornerstone of European ideology. Whereas Zionism was always ambivalent in the European consciousness, the PLO as a liberation movement had become more and more central in the core beliefs of the Europeans. The European Union was anticipating that the PLO would be legitimized by Israel itself. And so the Oslo accords of September 1993 were a kind of triangular marriage. European regard for Israel became dependent on the Palestinians. The Palestinians, to a large degree, controlled the psychological, political, ideological, and cultural channels that connected Europe and Israel. Obviously, that situation led to the reemergence of anti-Semitism on the Continent. The Oslo accords were dependent in many ways on the Labor Party in Israel and its allies on the Left. The New Israel Fund was established in 1979. A year before, in 1978, Shalom Achshav [Peace Now] was launched. The Israeli Left was realigned and dug in for this political change in Israel led by Begin. This, despite the fact that Likud signed the historical peace with Egypt, the biggest of Israel’s enemies. An extra-parliamentarian opposition was established. It seems that Europe jumped aboard that Leftist bandwagon and started a long-term campaign to re-educate what they viewed as the backward Israeli public. After Oslo, and especially after the reelection of a right-wing government in 1996 led by Netanyahu, it appeared that the Europeans saw the PLO as a constant and what was needed was a change in the Israeli mindset. When Israel’s internal security collapsed with waves of unprecedented terrorist attacks, many Israelis perceived the Oslo agreement as a grave mistake. Leftist NGOs were established to convince Israelis that they had no choice but to accept the terrorist reality because the occupation had to end. Gradually, the Leftist organizations were discovered for their true nature: a strategic arm for political warfare which aimed for three major goals. Destabilization of the Israeli society. Delegitimization of Israel in Western societies. Paralyzing Israel’s military response to the terrorist enclaves inside the country. All this activity was heavily financed by the European Union and various member states. But there was an unintended effect to this campaign: it revived anti-Semitism. The relentless barrage of photos of Palestinian victims, usually children and all victims of the terrorists’ using civilians as human shields, was the catalyst for anti-Semitism, with the constant drumbeat of Israel in the headlines and news media. Which brings up the issue of the two kinds of anti-Semitism. The first is the classical sort. You hate Jewish persons or collectives. You can’t stand the hearing of the intermediaries of the diplomatic process because their names are Greenblatt, or Kushner, or Friedman, if not Shapiro. That type of hatred is relatively rare nowadays. But the second kind is very important, and this is the strategic use of anti-Semitism. The Nazis used that strategy, then the Soviet Union, and now the Palestinians and their allies, who want to weaken and delegitimize the Western democratic system. The results of using the ploy of strategic anti-Semitism are splitting society and the political sphere; polarizing society; and achieving unlikely alliances between radical forces who are incompatible otherwise. The intersectionality joins feminists and Jihadists, liberals, gays, Greens – all marching together with terrorists who pollute the air, hang gays on the streets, and abhor dissenting opinions or the rule of law. This is why the leader of Hamas thanks all the liberal forces in the West for their support of Hamas in its struggle against Israel. This is why for their own good the Europeans should find a way to combat anti-Semitism of the strategic type. The European Union has a definition for anti-Semitism which recognizes anti-Israel propaganda as a form of anti-Semitism. But it doesn’t work if the European Union simultaneously sends messages supporting various degrees of the boycott. For instance, posting signs on Israeli products. Europe should recognize that the organizations that it finances inside Israel do not improve freedom and democracy in Israel, but rather they sow hatred, fear, and friction inside Israeli society. It encourages anti-Jewish nationalism and irredentism among Israeli Arab citizens. The Europeans should take into consideration the damage that it imports into the continent. Some of the extreme right-wing forces that erupted lately are spawned by Islamist extremism, which is fueled among other issues by anti-Israel hatred. Financing anti-Israel NGOs, Palestinian lawfare, and propaganda ultimately leads to internal European troubles. No matter what awesome changes take place in Europe, one thing remains frozen like the people of Pompeii. The EU bureaucracy is stuck in its cold hostility toward Israel. Western Europe and Israel have taken two different historic courses. Israelis watched Europe’s once vaunted economic structure, political system, social experiment, and cultural development all fail. Israel, on the other hand, is the antithesis of the European Union’s central core: Israel is nationalistic, multi-cultural, and tolerant of other cultures – even the enemy’s. In its economic policies, Israel is flexible and was able to emerge from the 2008 economic collapse even stronger. The rigid EU economy has still not recovered. Demographically challenged, Europe has tried for many years to become an immigrant society like Israel. It failed, especially in the last wave, which destabilized the continent. The Common Market evolved into the European Union. For many years it seemed a great success, especially under the American security umbrella. The secret code was: keep America in, keep Germany low, and keep Russia out. But Europe did not absorb well the shockwaves of the 2008 financial collapse. It completely shattered that schematic structure. The political structure of the European Union didn’t cope successfully with the economic crisis and its political consequences. The social and cultural experiment of multiculturalism failed, by many accounts. The defense concepts and preparedness were inadequate, to say the least, in the face of ISIS and al-Qaeda terrorism, to say nothing about the Russian challenge in Ukraine and the Middle East. Israel is a proud national society. It is a unique Jewish civilization that proved successful as an immigrant society; it proved flexible enough to accommodate a nationalistic Arab minority; its democracy has proven resilient in the face of enormous external and internal challenges. Its economy was not only relatively resilient to the September 2008 crisis but snapped back to the high growth rate in less than a year. Israel defends jealously its sovereignty, borders, and citizens. In other words, Israel is quite the opposite model compared to Europe. The economic flourish is complemented by cultural growth, and Israel’s democracy remains open and lively despite the propaganda claims otherwise. Europe should abandon the stale narrative about Israel being a retrograde nationalistic project, a leftover from the colonial era with colonialist ambitions and an occupying force. When the security of Israel becomes unchallengeable, chances for peace will grow immeasurably. No, it’s not the other way around, that peace comes first and then security. Unfortunately, Europe gave the Palestinians the impression for many years that the destruction of Israel is negotiable. An Israeli journalist with the daily newspaper Yisrael Hayom, Amnon Lord’s articles and essays about media, film, and politics have been published in The Jerusalem Post, Mida, Azure, Nativ, and Achshav. Lord wrote and anchored a TV series about the beginnings of Israeli cinema. He is the author of The Israeli Left: From Socialism to Nihilism (2003), a political and historical analysis of the Israeli Left from a personal perspective.